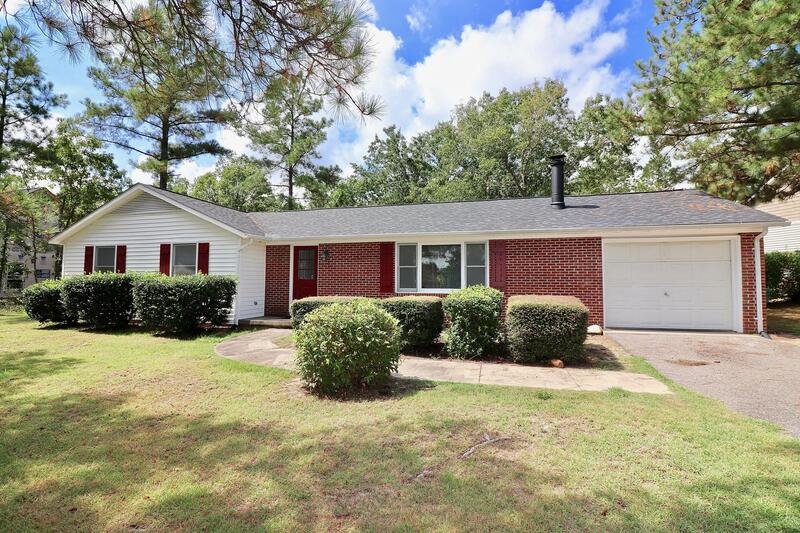 Fantastic opportunity to own an adorable home close to the Lake Pinehurst marina. All one level living includes large living room with fireplace, hardwood floors throughout all living areas and bedrooms. Kitchen with tile floors. Large master bedroom with hardwood flooring and private bathroom. Two guest bedrooms with shared bathroom. Large and private yard with two patios.